On Friday, January 2nd, Advisory Neighborhood Commissioners from all eight wards of the District of Columbia took the oath of office. 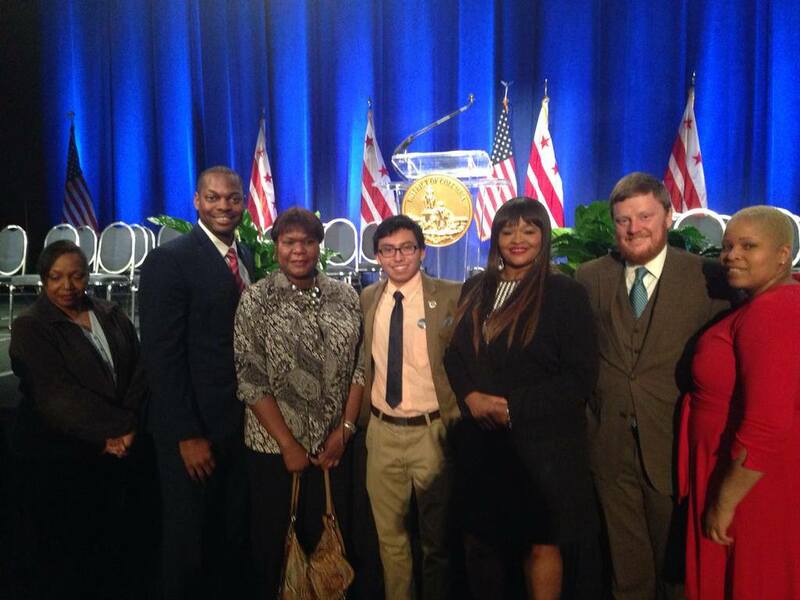 Among them, all seven Commissioners of ANC 5C were sworn in. Four new Commissioners for ANC 5C were sworn in for the first time. From right to left: Chairwoman Jacqueline Manning (5C-04), Nolan Treadway (5C-07), Monique Smith (5C-06), Walter Deleon (5C-02), Gail Brevard (5C-01), Robert Looper III (5C-03), Regina James (5C-05).